The Brownsword Group have announced today the acquisition of Linden Claims International Ltd, a specialist claims handling company in the life insurance sector dealing in death claims, complex income protection, critical illness and disability claims for insurers and reinsurers. Now approaching its 25th year of operation handling claims for the UK insurance and legal industries, this is The Brownsword Group’s fourth acquisition in recent years, adding to its already strong portfolio as one of the UK’s leading service providers to the insurance industry. 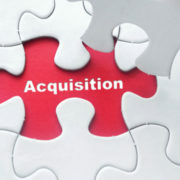 The acquisition will see the LCI product coming under the compliance umbrella of The Brownsword Group, with its unrivalled four ISO accreditations, BS102000 standard, winner of a plethora of insurance industry awards and the successful achievement of the UK’s highest business accolade, The Queen’s Award for Enterprise (2015-2020). Brownsword’s Technical Claims Director Sean Moss stated, “The acquisition of Linden Claims is a great opportunity to enhance our services to the UK insurer market, providing further growth and putting Brownsword in an even more prominent position in our field. Combining John’s market leading experience with our multi award winning pedigree will create a formidable team”.